NEW LISTING! 117 Rounseville Rd; Bethlehem Twp. OPEN HOUSE: 215 Garrison Ct; Bethlehem Twp. A SUPERBLY MAINTAINED AND COMPLETELY UPDATED 3800 SQ FT STONE-FRONT COLONIAL WITH AN IN-GROUND HEATED SALT WATER POOL AND A GREAT LOCATION ON A GORGEOUSLY LANDSCAPED 1.5 ACRE PREMIUM CUL-DE-SAC LOT WITH A VERY PRIVATE BACKYARD. THE HOME FEATURES A GREAT OPEN FLOOR PLAN WITH A GRANITE & MAPLE CENTER ISLE KITCHEN WITH UPGRADED STAINLESS STEEL APPLIANCES, A 2-STORY FULLY-WINDOWED FAMILY RM WITH A SURROUND SOUND SYSTEM & SECONDARY STAIRCASE, A 30X14 BERBER-CARPETED CATHEDRAL CEILING CONSERVATORY, AND HARDWOOD FLOORS IN THE LR, DR, KITCHEN, FIRST FLOOR STUDY, & A WIDE WELCOMING ENTRY FOYER. OTHER HIGHLIGHTS ARE AN EXPANSIVE MBR SUITE WITH A SITTING RM & A HUGE WALK-IN, A LUXURIOUSLY UPDATED MASTER BATH, SPACIOUS SECONDARY BEDROOMS, AN ENORMOUS MULTI-LEVEL PAVER PATIO, A FIRE-PIT, AND A WIRELESS SECURITY SYSTEM. OPEN HOUSE: 7 Wyckoff Rd; Bethlehem Twp. FROM CLINTON: RT 78W TO EXIT 12, LEFT AT TOP OF RAMP. R AT LIGHT ONTO CHARLESTOWN RD. APP 3 MILES TO L ON ROUNSAVILLE TO R ON WYCKOFF TO #7 ON RIGHT. 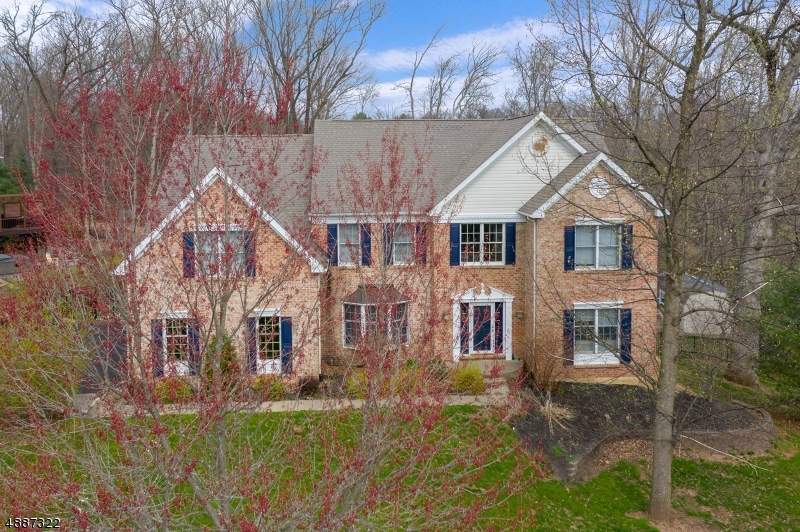 A 3800 SQ FT SUPERBLY MAINTAINED 4BR & 2-1/2 BATH COLONIAL ON A GORGEOUSLY LANDSCAPED 3.93 ACRE PREMIUM LEVEL LOT WITH A PRIVATE BACKYARD WHICH BACKS TO WOODS AND A GREAT LOCATION LESS THAN 10 MINUTES FROM RT 78 IN THE LOVELY COMMUNITY OF CHARLESTOWN HILLS. THIS STATELY BRICK-FRONT HOME ALSO FEATURES HARDWOOD FLOORS THRU-OUT, A CENTER ISLE CORIAN KITCHEN, AN ENORMOUS 60X24 PAVER PATIO WITH A BUILT-IN BARBECUE, AND A WHOLE-HOUSE GENERATOR. OTHER HIGHLIGHTS INCLUDE A GREAT OPEN FLOOR PLAN, A 20X20 CATHEDRAL-CEILING FAMILY RM W/RAISED-HEARTH BRICK FIREPLACE, A LARGE PRIVATE FIRST FLOOR STUDY, AN INVITING 2-STORY FOYER W/CIRCULAR STAIRCASE, AN EXPANSIVE MBR SUITE W/SITTING RM & A HUGE CALIFORNIA-STYLE CLOSET, A LUXURIOUS MASTER BATH, SPACIOUS SECONDARY BEDROOMS, & SO MUCH MORE! NEW LISTING! 11 Farrow Ln; Bethlehem Twp. 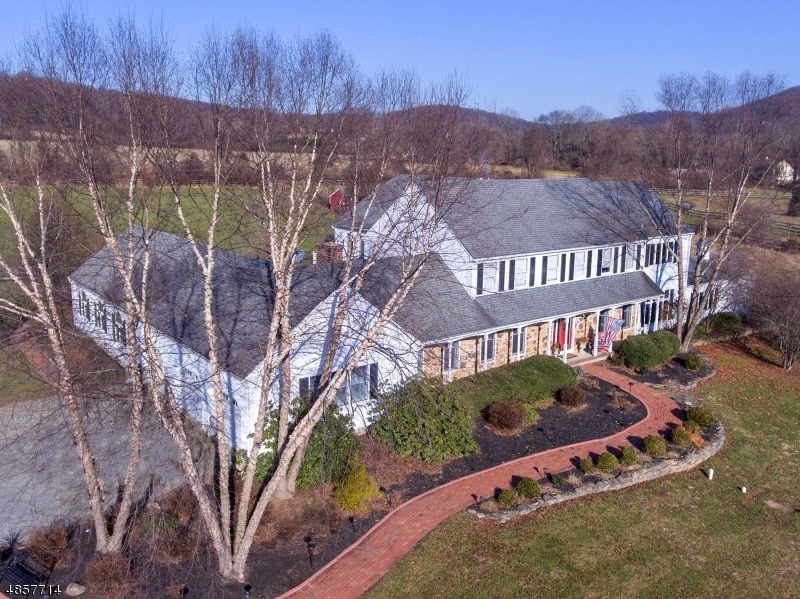 A SUPERBLY-MAINTAINED & RECENTLY UPDATED 3602 SQ FT BRICK-FRONT COLONIAL ON A GORGEOUSLY LANDSCAPED 1.52AC PREMIUM WOODED LOT WITH A TRULY GREAT LOCATION JUST A LITTLE MORE THAN ONE MILE FROM RT 78 IN AN EXCEPTIONALLY PRETTY NEIGHBORHOOD. THE HOME FEATURES A SPECTACULAR FULLY-WINDOWED 27X14 CONSERVATORY WITH A LARGE GRANITE-TOPPED MULTI-SEAT CORNER SPORTS BAR, AND AN OVER-SIZED GRANITE & STAINLESS STEEL CENTER ISL KITCHEN WITH AN INVITING SKY-LIGHTED GARDEN BUMP-OUT BREAKFAST AREA. OTHER HIGHLIGHTS INCLUDE A GREAT OPEN FLOOR PLAN, A VAULTED CEILING FAM RM WITH AN ATTRACTIVE CUSTOM-MANTLED RAISED HEARTH BRICK FPLC, AN ORNATELY-TRIMMED DINING RM, A PRIVATE 1ST FLR STUDY WITH BUILT-INS, AN EXPANSIVE MBR SUITE WITH A SITTING RM, SPACIOUS SECONDARY BDRMS, A FINISHED BSMNT, & A LARGE PAVER PATIO WITH A PERGOLA. OPEN HOUSE: 4 Hillside Terr; Bethlehem Twp. A SUPERBLY-MAINTAINED 3/4 BDRM & 3-1/2 BATH COLONIAL ON A VERY PRETTY & GORGEOUSLY LANDSCAPED 1.1 ACRE WOODED LOT WITH A GREAT LOCATION ON A SMALL PRIVATE ROAD JUST NORTH OF NEARBY SCENIC SPRUCE RUN RESERVOIR & RECREATION AREA. THE HOME FEATURES A RECENTLY UPDATED GRANITE & STAINLESS STEEL CENTER ISLE KITCHEN WITH UPGRADED CUSTOM HICKORY CABINETS, AND AN ENORMOUS BRIGHT-&-SUNNY 22X22 BEAMED-CEILING FAMILY ROOM. OTHER HIGHLIGHTS INCLUDE A PRIVATE FIRST FLOOR LIBRARY WITH A FULL WALL OF BUILT-INS, A HUGE 22X19 TRAY-CEILING MBR SUITE WITH A LARGE WALK-IN CLOSET, A LUXURIOUS CHERRY VANITY MASTER BATH, SPACIOUS SECONDARY BDRMS, A THREE-ROOM FINISHED BASEMENT WITH A BR/OFFICE & FULL BATH FOR POSSIBLE IN-LAW SUITE, A PATIO AND DECK IN THE VERY PRIVATE BACKYARD, A FIVE-ZONE HWBB HEATING SYSTEM, AND SO MUCH MORE! NEW LISTING! 7 Wyckoff Rd; Bethlehem Twp. 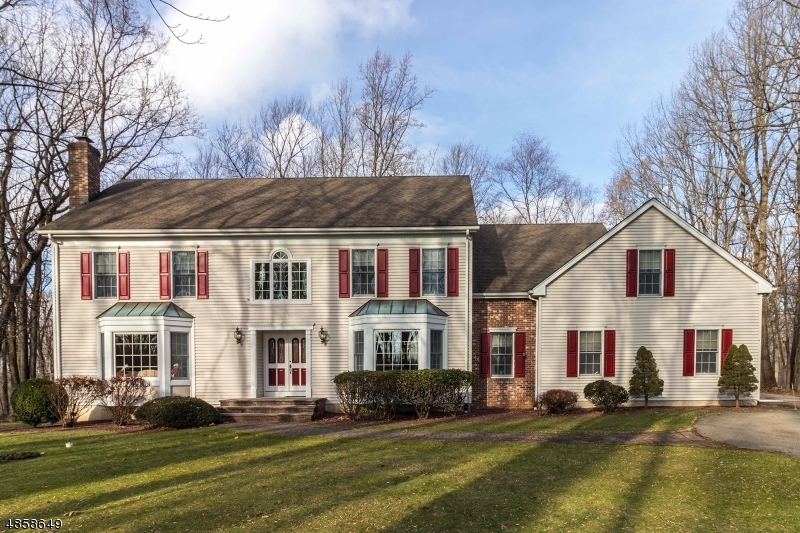 A 3800 SQ FT SUPERBLY MAINTAINED 4BR & 2-1/2 BATH COLONIAL ON A GORGEOUSLY LANDSCAPED 3.93 ACRE PREMIUM LEVEL LOT WITH A PRIVATE BACKYARD WHICH BACKS TO WOODS AND A GREAT LOCATION LESS THAN 10 MINUTES FROM RT 78 IN THE LOVELY COMMUNITY OF CHARLESTOWN HILLS. THIS STATELY BRICK-FRONT HOME ALSO FEATURES HARDWOOD FLOORS THRU-OUT, A CENTER ISLE CORIAN KITCHEN, AN ENORMOUS 60X24 PAVER PATIO WITH A BUILT-IN BARBECUE, AND A WHOLE-HOUSE GENERATOR. OTHER HIGHLIGHTS INCLUDE A GREAT OPEN FLOOR PLAN, A 20X20 CATHEDRAL-CEILING FAMILY RM W/RAISED-HEARTH BRICK FIREPLACE, A LARGE PRIVATE FIRST FLOOR STUDY, AN INVITING 2-STORY FOYER W/CIRCULAR STAIRCASE, AN EXPANSIVE MBR SUITE W/SITTING RM & A HUGE CALIFORNIA-STYLE CLOSET, A LUXURIOUS MASTER BATH, SPACIOUS SECONDARY BEDROOMS, & SO MUCH MORE! CANNOT CLOSE BEFORE MARCH 1, 2019.